Colonic Irrigation is safe and effective. It is a straightforward, gentle method which has no equal as an internal cleansing process. It is aimed at removing any toxins that form in the intestine and bowel. The colon is the most important organ for maintaining good health. Colonic Irrigation can improve overall health because if the colon is not functioning properly it may leave you susceptible to other health issues later down the line. 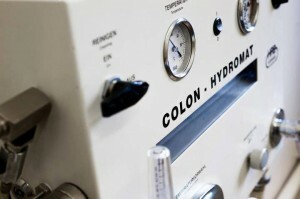 Colonic Irrigation (colon hydrotherapy) is a well established method of cleansing the body. Dating back to ancient times, this treatment has provided an important role in relieving many health problems. By gently cleansing the colon, the body is assisted in recovering and maintaining good health. No detoxification is effective if the colon is neglected.. The world we live in is filled with substances and chemicals which are foreign and harmful to our bodies. More importantly, the food we eat is often burdening our system with additives and agents our body cannot assimilate or handle. Our colon, also called the large intestine or bowel, is responsible for cleansing our system of solid waste. It also provides a key role in completing the digestive process, absorbing important nutrients, minerals and vitamins. If the colon is over-burdened our whole system is put under stress. An abnormal colon could be prolapsed, misshaped, affected by diverticular (pockets) and it’s linings could be caked up with faecal matter. Colon Hydrotherapy can help all these conditions. It assists and supports in the treatment of many health conditions and also in restoring and maintaining good health. This depends upon the individual case and will be discussed at your first consultation. Yes. The water is introduced at a low pressure, so there is no danger of bowel perforation. The equipment is only used once and then disposed of after use.